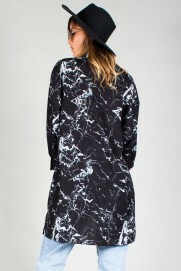 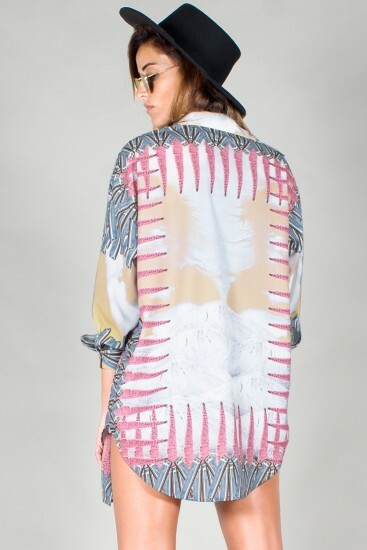 Home > Shop>SHIRTS>LONG BLOUSE "TEIDE FANTASY"
Patterned and exclusive long blouse. 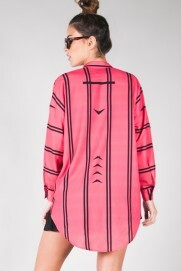 This shirt features a slit at front buttons, collar, and long silhouette. 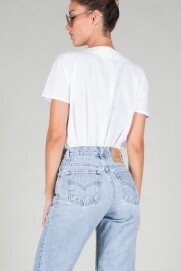 Wear it with your favourite pair of high-waisted jeans or even with your bikini in a day out. 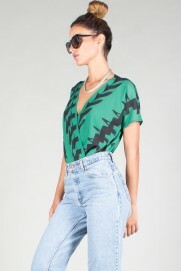 SHORT SLEEVE DRAPE BODY "DAZZLE 500"